During the weekend I happened to stumble across this striking image of a staircase and was instantly inspired. I love the vibrant infusion of colour and pattern set against the brilliant white stairs and check out the fuchsia pink hand rail too! This is also a great idea for a mini makeover if you are strapped for time and/or cash. At very little cost you could pick up a selection of rugs and use existing ones from around the home - opt for lightweight, flexible fabrics and don't be afraid to mix up colours and patterns, remember this is a fun project! 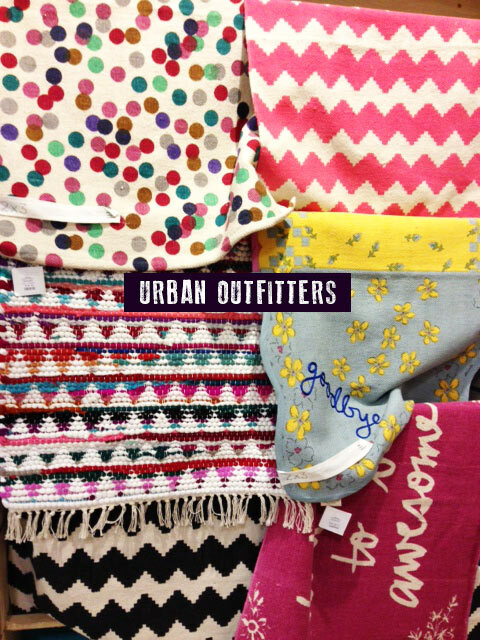 I found the perfect selection of rugs at Urban Outfitters, which would do the job perfectly but there are many more choices out there. If you are feeling especially creative, why not try painting a handrail too? As a guide, try picking out a dominant colour from your selection of rugs and use this for the paint colour. On a cautionary note (Mike puts on his Health & Safety hat), do ensure that the rugs are safely secured to the stairs as we don't want any trips or slips! 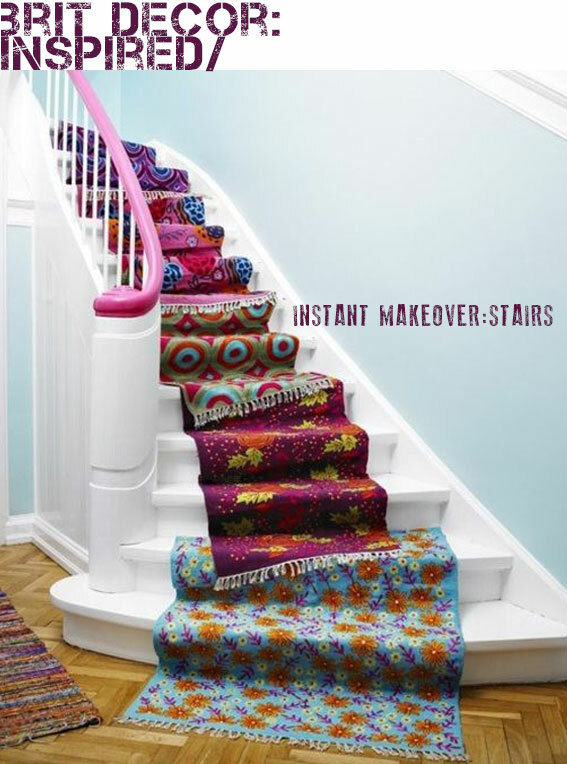 Have you tried any quick fix home makeovers lately?